Our goal is to connect people with the best local experts. 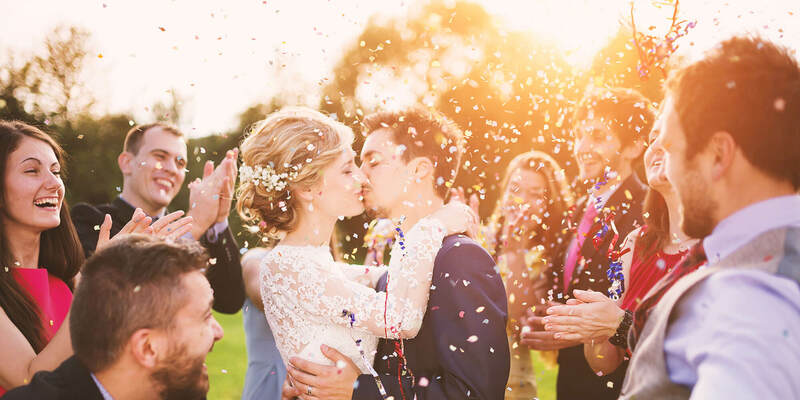 We scored wedding photographers on more than 25 variables across five categories, and analysed the results to give you a hand-picked list of the best wedding photographers in Athens, GA.
Alyssa Alig is an Athens-based photographer specializing in wedding photography. She has nearly a decade of wedding photography experience and provides her services throughout Georgia and in other locations throughout the United States. Alyssa only shoots a select number of weddings each year in order to ensure that each of her clients receives the highest quality of work. She provides various products for her clients as well such as heirloom albums and prints. Blane Marable is an Athens photographer who specializes in wedding, engagement, and proposal photography. He has experience shooting hundreds of weddings in Athens, Atlanta, and across Georgia. Blane also offers senior, graduation, and event photography, as well as shooting for the University of Georgia football team. Blume Photography is a Watkinsville photography studio operated by Phillip and Eileen Blume. The studio has a number of associate photographers on-staff and specializes in wedding photography. Blume Photography offers a wide range of custom wedding photography packages for clients as well as prints, coffee table books, and digital negatives available as well. The studio also provides headshots, portraits, and newborn photography sessions in-studio. The photographers are available for destination contracts across the United States and abroad. Camille Wilson is an Athens-based photographer who specializes in wedding and engagement photography. She offers a wide range of wedding photography service packages and is available for destination weddings as well. Camille focuses on using a photojournalistic style for her work and strives to capture images and moments as they happen. She also provides lifestyle photography services for individuals and families. Christopher Helm is an Athens photographer who provides his services in Athens and Atlanta as well as in Augusta, Macon, Savannah, Charleston, and worldwide. He specializes in wedding and engagement photography and also provides photography services for professional portraits. Christopher provides various products for his clients including prints, albums, canvases, and digital files. His clients praise Christopher and his team for their ability to blend into weddings as well as their professionalism and extreme talent in capturing important moments. Claire Diana Photography is a Watkinsville photography studio founded in 2014. Claire specializes in wedding and engagement photography and also provides photography services for professional headshots and senior portraits. Her wedding packages include a complimentary engagement session, an online shareable gallery, access to all edited digital images, and two photographers on-location. Claire also offers custom packages for her clients and her clients speak highly of her professionalism, flexibility, and friendly nature. Hailey Nix is an Athens photographer who has nearly five years of photography experience. She specializes in newborn and children photography as well as family photography. Hailey offers a wide range of photography service packages for her clients and additionally accepts commissions for one wedding per month in order to provide the highest quality of work to her wedding clients. Leslie West is an Athens photographer who specializes in wedding and engagement photography. She provides a range of wedding packages that include two wedding day photographers, a complimentary engagement session, and an online wedding gallery. Leslie also offers boudoir photography services. Her clients speak highly of her talent, thoughtfulness, and comforting nature, as well as her bright and warm personality. Mackenzie Taylor Photography is a Watkinsville photography studio operated by photographer Taylor Perry. Taylor provides a range of photography services including portraits for families and children, seniors/graduation portraits, and headshots and professional portraits. She also specializes in art photography throughout Athens and on a global scale. Taylor offers various prints of her work as well. Mark Parsons is a Watkinsville-based photography who has over 20 years of photography experience. He provides his services across Georgia and throughout the Southeast United States. Mark specializes in wedding photography and portrait photography for families and seniors. His clients speak highly about his photography talent as well as his fun and open personality that puts his clients at ease. Melissa Pepin Photography is an Athens photography studio. Owner Melissa Pepin has over 10 years of wedding photography experience. Melissa provides photography services for weddings and engagement as well as photography services for children, families, and professional portraits. Melissa works with another photographer, Elizabeth, who also owns her own portrait photography business and shoots weddings exclusively for Melissa Pepin Photography. Mintwood Photo Co is an Athens photography studio founded by Lydia Phillips. Lydia offers photography services for weddings and engagements, family photography, and professional headshots and portraits. She also provides her clients with various products such as wedding albums and guest books. Lydia also offers photography services for various types of events such as birthdays and family reunions. Paige Ewing Photography is a Buford-based photography studio founded in 2010 by Paige Ewing. Paige specializes in wedding and engagement photography and offers a range of packages. She is available in Buford as well as for travel to surrounding areas. Paige also provides photography services for professional portraits and headshots. She offers various products such as prints, wall art, and wedding albums to her clients. Sara + Logan Wedding Photographers is an Athens photography studio operated by the sister-brother team of Sara Wise and Logan Potterf for over six years. The studio specializes in wedding and engagement photography and packages include full wedding day coverage by both Sara and Logan as well as access to an online gallery with downloadable wedding day images. Sara Wise is an Athens photographer who has over a decade of experience. She specializes in wedding photography as well as maternity/newborn/baby photography for her brides and grimes. Sara provides photography services for commercial photographs, family photographs, professional headshots, and professional portraits as well. She offers her clients a range of products such as gift prints, standouts, wall prints, session albums, and wall frames. Sarah Eubanks is an Athens photographer with over five years of experience. She holds a fine arts degree in photography from the University of Georgia and specializes in wedding and engagement photography. Sarah offers a number of wedding photography packages that include two photographers, an online gallery with digital download, and printing rights to photographs. Signs and Wonders Photography is an Athens photography studio that was founded in 2010 by Stacy Bartel. Stacy offers photography services for weddings and engagements as well as professional portraits. She also provides various products to her clients such as fine art prints. Stacy uses a documentary style when shooting weddings. Her clients praise her genuine, comforting, and relaxing nature, as well as her photography talent and professionalism. Stephie Hicks is an Athens photographer specializing in wedding photography and portrait photography. She has offices in both Athens, GA and Los Angeles, CA and shoots weddings on both coasts. Stephie is also available for destination weddings and offers a wide range of wedding packages. Wingate Downs is an Athens photographer who has over 25 years of photojournalistic experience and as a photo director for daily newspapers and a city magazine. He has been formally educated in photography at Auburn University and LaGrange College. Wingate specializes in wedding photography and offers a wide range of packages for his clients that include engagement sessions, prints, albums, and online galleries. He also provides photography services for portraits and commercial photography. ZoomWorks is an Athens photography studio formed in 1999 as a collaboration between photographers Marisu and Shannah. The studio specializes in wedding photography as well as boudoir photography. Marisu and Shannah also provide their photography services for fashion and editorial photography as well as commercial and lifestyle photography. The studio also provides hair and makeup services in addition to skill and business classes for wedding photographers.